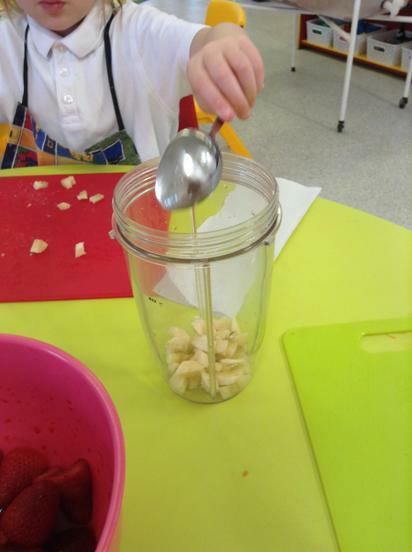 This week we have asked the question 'Where does food come from?'. 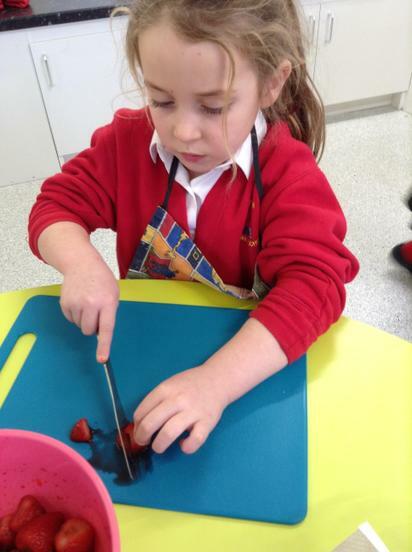 The children have learned all about where different foods come from, such as meat from animals and eggs from hens. 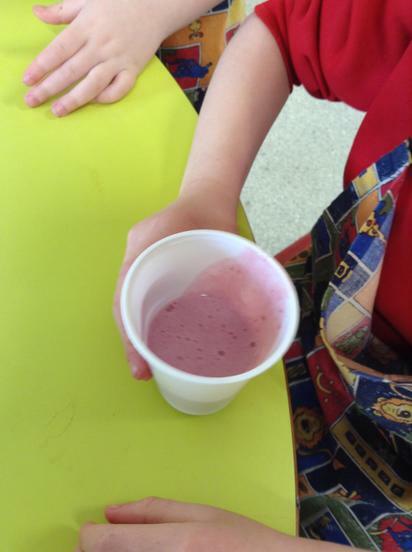 We learned about the life cycle of a hen and when learning about milk - that comes from cows, we made milkshakes. 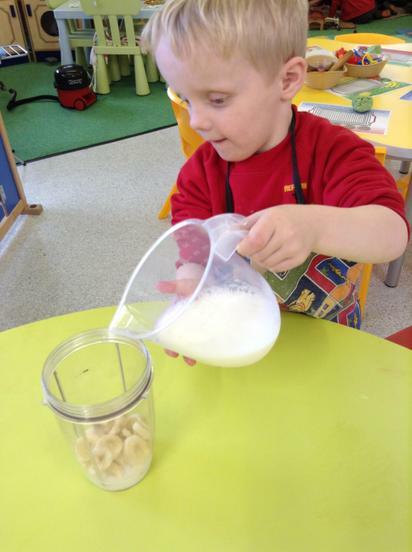 First we planned what we could put in our milkshakes and followed instructions to make a real milkshake. We then wrote a recount of what we did using words such as 'first, then, next, after that, last of all'. The children are really beginning to write some words independently using sound talking and blending. Super! 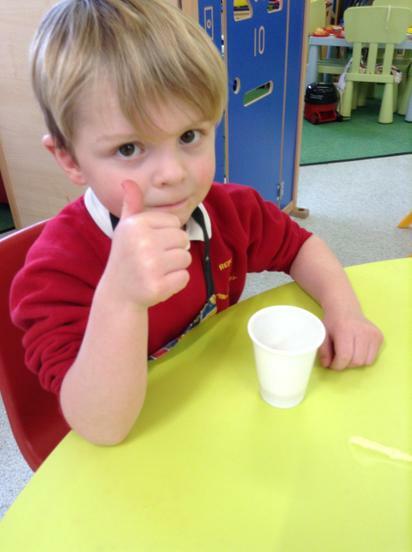 In maths we have done lots of counting and matching to amounts. We have combined 2 numbers and are getting really good at counting on to find a total. We've all been enjoying our PE lessons, which this term are based on the story of 'The Gruffalo'. 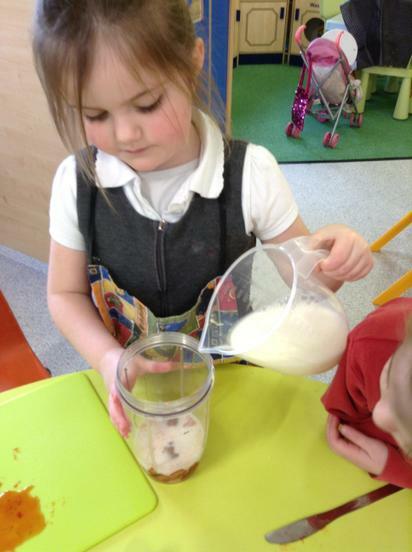 We have been moving like the animals in the story, involving lots of balancing and travelling. We enjoyed a very chilly Forest School session this week too! 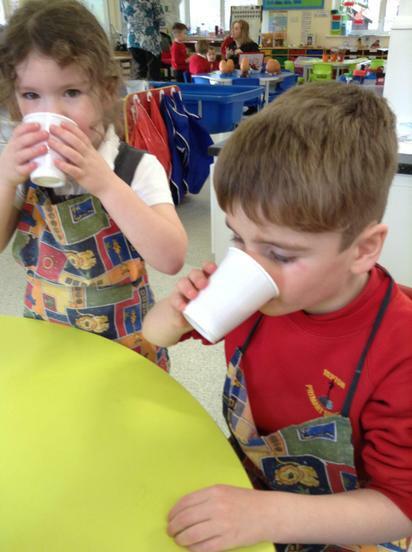 The children went on an explorer hunt to find different things and drew and wrote what they found with partners. 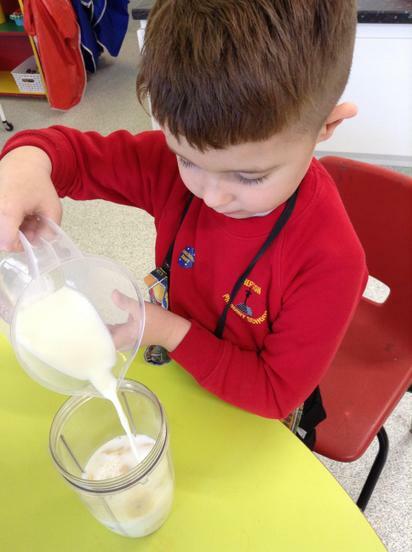 Photos on Forest School section of this class page. It's great to see lots of you using Spelling Shed and we now have a leaderboard, both in class and Celebration Assemblies. Well done to our top three children with the most points this week. Ist place is Tristan, 2nd is Charlotte and 3rd is Amel. Your log ins are in the front of your child's reading record if you have not yet had a chance to access this.